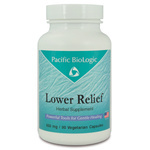 Helps support healthy musculoskeletal and tissue function of the lower body. Supports healthy joint function and helps regulate normal inflammatory response. Provides support for healthy musculoskeletal and tissue function of the upper body.